Its that time of the year where in many parts of the world, winter has kicked in for good. Even here in Greece (which is meant to be a warmer part of Europe) we recently experienced a cold spell that wreaked havoc on our plans for executing epoxy flooring projects. Low temperatures slow down the curing time of epoxy products. This can be a benefit as the working life of the product is prolonged but it also means that projects will take longer to complete. Re-coat times may be affected leading to delays in completing the project. But final curing time is also affected. A floor that under normal conditions could be handed over to the client after 3 days may require 5-6 days. Viscosity of the product is also affected. Epoxy in low temperatures don’t flow as nicely when the temperature drops. 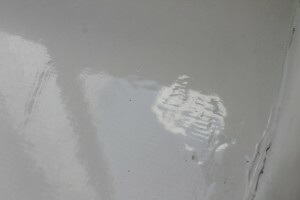 As a result your epoxy that is meant to be self-leveling may not actually level! I learnt this the hard way (see picture below) when a few years ago I underestimated the cold surface temperature of a marble slab. The product never properly settled and we were stuck with trowel marks. When working in low temperatures, increased humidity in the atmosphere may also affect your floor. In cold temperatures the dew point tends to be closer to the actual room temperature. This leads to increased relative humidity. 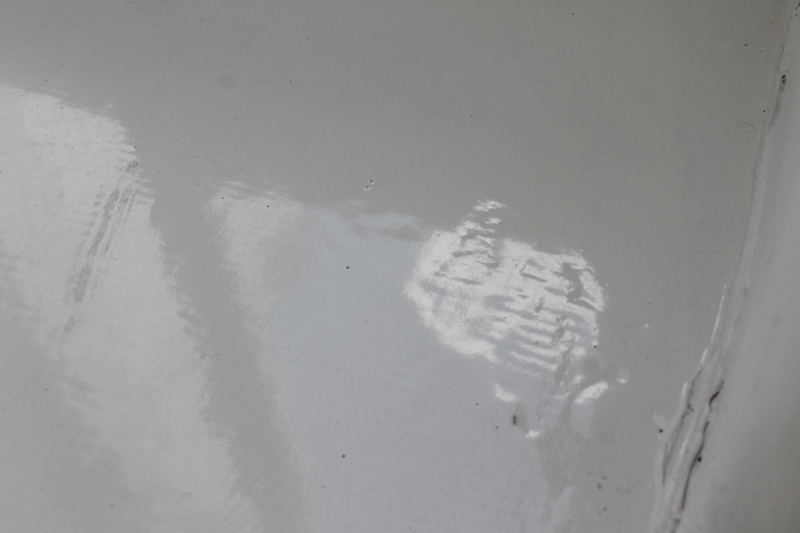 As a result you may get moisture settling on the uncured epoxy. This may lead to blushing, reduced gloss and surface defects on your floor. Most technical data sheets of epoxy products recommend applying the product at a minimum of 10 degrees Celsius (50 F). From my experience once the temperature drops under 15C (59F) you will run into flow problems and curing will slow down. If you try applying epoxies at temperatures under 7-8 degrees Celsius (45F) it is likely that curing will be extremely slow and ineffective. So how do we deal with the issues that I have described above? First of all make sure that your products are always stored in room temperature so that effects of low temperatures are minimised. Another solution is to explore the possibility of heating the project area with air conditioners or conventional heaters. However I don’t recommend using propane powered heaters or cannons. I have experienced all sorts of problems with these (like surface discolorations). You can also explore adding solvents and accelerators to your epoxy product. Jack Josephsen has written a great article on this subject. My final point about cold temperatures is probably the most important to keep in mind: Often the best solution is to delay the start of the project until the weather gets warmer. This may mean telling the client to wait several weeks or months for conditions to improve. There will always be pressure to complete projects quickly (as well as the fear of losing a project to a competitor). However sometimes it is in your best interest to protect your reputation and only move forward if the right conditions are in place.